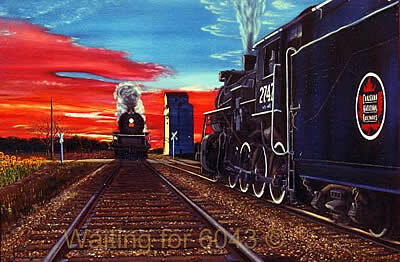 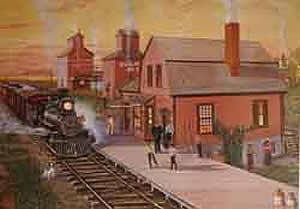 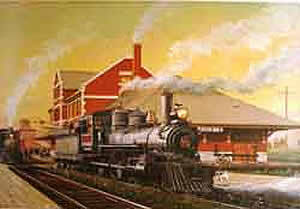 This painting depicts the meeting of two Manitoba Steam Engines CN #2747 one of two type MC5c engines built at CN’s Transcona shops and #6043 that made the last scheduled steam run in Canada from the Pas to Winnipeg April 25 1960. 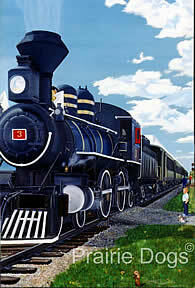 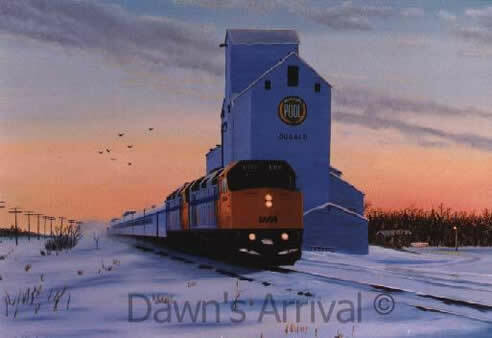 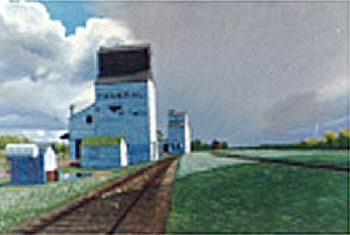 This painting depicts the passage of VIA Rail's Number 1, "The Canadian", by the Manitoba Pool elevator at Dugald just before its dawn arrival at Winnipeg. 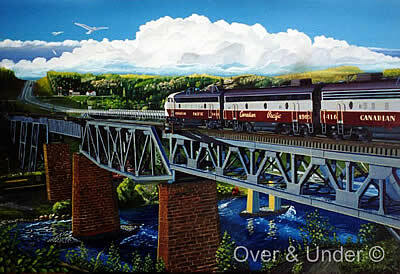 Over & Under" shows the passage of three Canadian Pacific diesel locomotives heading west over the Nipigon River bridge. 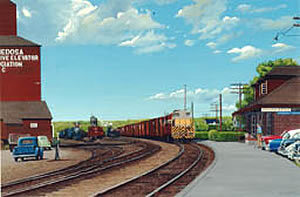 It also depicts the simultaneous passage of a CN "work extra" heading south under the bridge. 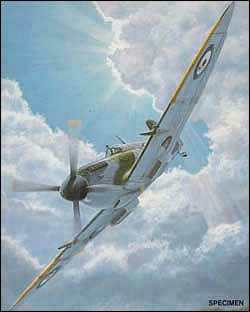 Limited edition of 300 S/N. 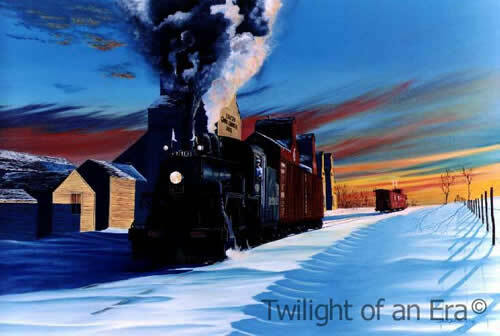 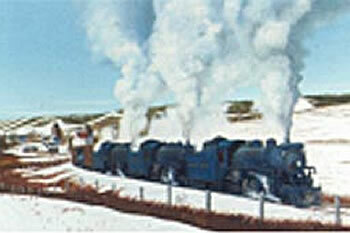 "Twilight of an Era "
“Two Pennies” shows the passage of four Canadian Pacific diesel locomotives heading the famous “Canadian” as they head west near Tunnel Mountain just past Banff Alberta. 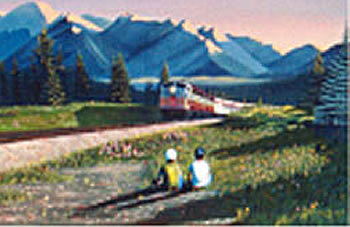 Passengers traveling on the “Canadian” are just waking up as the eastern sun warms the mountain tops and finds its way onto a field of wild flowers. 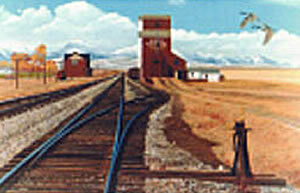 The wild roses of Alberta are growing near the tracks on which the boys have placed their pennies and are anxiously waiting for the train to flatten them.